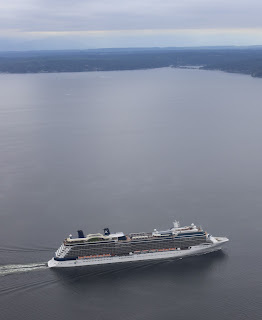 The Celebrity Solstice is a large cruise ship that spends her summers plying the Inside Passage. 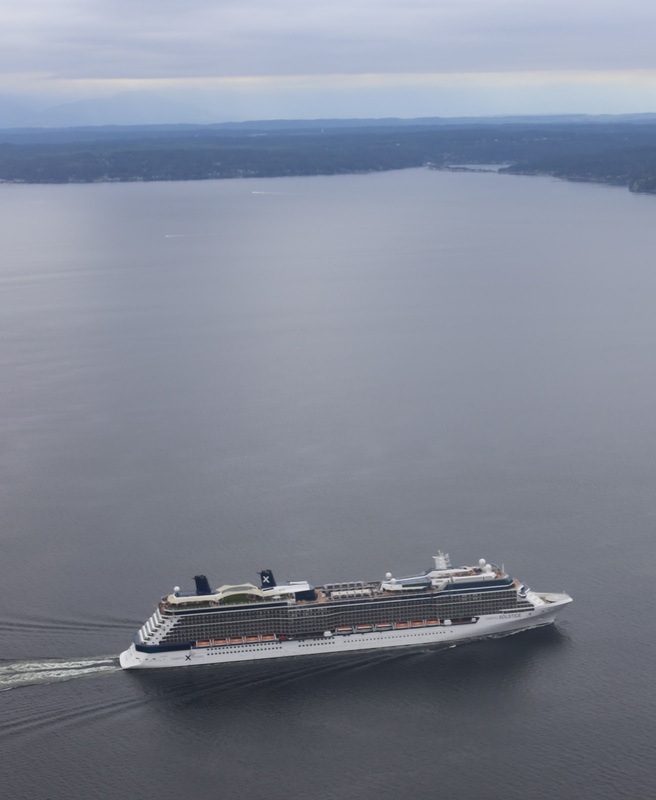 Summer sailings for the weeklong trip begin at about $2000 for two. It looks like a truly enormous ship, but only makes #26 on the leader board, and is only 54% of the tonnage of the biggest. As I write this, she's in Skagway.